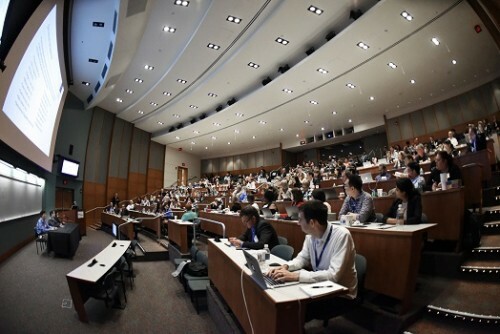 Newswise — The fifth annual Metastatic Breast Cancer Conference invites participants from around the world to discuss ongoing research, showcase new ideas from young scientists, and bring together advocates who are working with metastatic breast cancer patients. This year, the conference will be hosted by the Johns Hopkins Kimmel Cancer Center and the Johns Hopkins School of Medicine in Baltimore on Nov. 15 and 16. The Metastatic Breast Cancer Conference was established in 2014 by Theresa’s Research Foundation, with leadership from Matthew Ellis, Ph.D., M.B., McNair Scholar at Baylor College of Medicine, and Danny Welch, Ph.D., at the University of Kansas Medical Center. The first conference was held at the University of Kansas Medical Center in Kansas City, Kansas, in 2014. For the past three years, it was hosted by Baylor College of Medicine in Houston. The conference is unique from other breast cancer-centered conferences due to its specific focus on addressing metastatic disease as a major, but yet unmet, clinical need. For 2018, it moves to Baltimore under the guidance of Vered Stearns, M.D., and Andrew Ewald, Ph.D., at the Johns Hopkins Kimmel Cancer Center. Registration for the conference can be done at the Johns Hopkins Medicine website. Stearns said the goal of this year’s conference is to bring together a diverse audience in a collaborative environment to seek curative approaches for metastatic breast cancer patients. “There has been frustration on the patient side and from advocates with the lack of emphasis with metastatic/stage IV breast cancer,” Stearns said. “Less than 7 percent of funding goes toward metastatic breast cancer research. We want to bring in the best researchers, the best ideas, and invite patients and patient advocates to Johns Hopkins to find new ways and get them into the thought process.” The conference will feature discussions about therapy, predictive models, drug development and more. The keynote addresses, one each day, will focus on how reprogramming the tumor microenvironment determines metastatic progress of breast cancer and management of metastatic inherited breast cancer. Invited speakers from the United States and Europe will bring their knowledge and expertise to the conference and seek to inspire conversation and collaboration on new approaches regarding metastatic breast cancer. “Metastatic breast cancer needs a dedicated, long-term effort to find curative approaches. This conference helps to benchmark these efforts and create the collaborative research environment that is a prerequisite for progress,” Ellis said. Abstract submissions are encouraged, and the top five will be chosen for oral presentation during a Friday morning session. The others will be on display as posters. The submission period will open July 5 and close Sept. 5. The conference will be held at the Thomas B. Turner Auditorium on the Johns Hopkins medical campus in Baltimore. It is co-provided by the Baylor College of Medicine and Theresa’s Research Foundation. For more information, visit the Metastatic Breast Cancer Conference website. Newswise — Promising experimental cancer chemotherapy drugs may help knock out another life-threatening disease: tuberculosis (TB). A new study published by scientists at Texas Biomedical Research Institute in San Antonio pinpoints a mechanism in regulating cell death called apoptosis that is a potential new target for helping to control the bacterial infection (Mycobacterium tuberculosis or M.tb) that causes the lung disease TB. Lead author of the newly-published study, Eusondia Arnett, Ph.D., a Staff Scientist at Texas Biomed, and her colleagues have been testing this theory for about two years. Using human immune cells called macrophages and infecting them with M.tb in the lab, scientists were able to test their theory that pathways regulated by a master regulator of gene expression – a host protein called PPARᵧ -- are a good target for intervention to halt the progression of the disease. When Dr. Arnett’s team treated M.tb-infected macrophages with Mcl-1 inhibitors that target this important apoptotic pathway, they found a reduction of M.tb growth by 80%. Almost 20 people develop TB and four people die from the disease every minute, somewhere in the world. TB is now the world’s deadliest single infectious disease, surpassing AIDS. “If we can stimulate apoptosis in M.tb-infected cells, then we can reduce M.tb growth, Dr. Arnett explained. “Induction of apoptosis and subsequent reduced M.tb growth should ultimately result in less inflammation and damage to the lungs, and increased control of TB.” Tuberculosis infection also creates granulomas in the lungs – dense cellular structures that are the body’s attempt to wall off an infection it is unable to eliminate. However, granulomas also provide a niche for the bacterium to become recalcitrant to antibiotics, Dr. Arnett’s study showed that these experimental cancer drugs also reduced M.tb growth in granulomas using a human granuloma model holding promise for the activity of these drugs in human and animal models. Cancer drugs similar to those used in the study are already in Phase II of Food and Drug Administration clinical trials. The next step for testing on the TB front will be to find out the effectiveness of this therapy in a mouse model, and then finally, in a nonhuman primate before moving on to human trials. “It’s very exciting that these have already gone through a lot of testing in humans and we can capitalize on that,” Dr. Arnett said, explaining this could speed up the time it takes to get a new treatment to patients with tuberculosis. This study is a great example of why basic scientific research is so important,” said senior investigator of the study Dr. Larry Schlesinger, the President & CEO of Texas Biomed. “When we study important host cell pathways for disease, we can find relationships we didn’t even know existed. We can forge new ways to use current knowledge to create novel strategies for host-directed therapy for infection to be used along with antibiotics.” The study is published in the June 21, 2018 edition of the Journal PLOS Pathogens. This work was supported in part by a National Institutes of Health T32 Fellowship, “Molecular Mechanisms of Lung Inflammation”, award # T32HL007946 (to EA) and a National Institutes of Health T32 Fellowship, "Interdisciplinary Program in Microbe-Host Biology, award #1-T32-AI-112542 (to EA), and National Institutes of Health grants AI059639 and AI052458 (to LSS). ### Texas Biomed is one of the world's leading independent biomedical research institutions dedicated to advancing health worldwide through innovative biomedical research. The Institute is home to the Southwest National Primate Research Center (SNPRC) and provides broad services in primate research. SNPRC contributes to a national network of National Primate Research Centers (NPRCs) with specialized technologies, capabilities and primate resources, many of which are unique to the SNPRC. The Center also serves investigators around the globe with research and technical procedures for collaborative projects. For more information on Texas Biomed, go to www.TxBiomed.org or for more information on SNPRC, visit www.SNPRC.org. MEDIA CONTACT Available for logged-in reporters only CHANNELS Diabetes, Kidney Disease, Obesity, Surgery, Local - New York, Local - New York Metro KEYWORDS Kidney Function, Cardiac Disease, Cardiac Surgery, Chronic Kidney Disease, Nitric Oxide Newswise — June 22, 2018─ Administration of nitric oxide gas during and for 24 hours following heart surgery decreased the risk of patients developing acute and chronic kidney problems, a randomized, controlled trial conducted in China found. The study, “Nitric Oxide Decreases Acute Kidney Injury and Stage 3 Chronic Kidney Disease after Cardiac Surgery,” is published online in the American Thoracic Society’s American Journal of Respiratory and Critical Care Medicine. 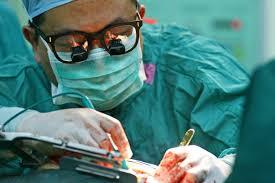 Researchers studied 244 adults in Xi’an, China, who underwent surgery to replace more than one heart valve. Because of the duration of the procedure, the patients required placement on cardiopulmonary bypass (a heart-lung machine) for at least 90 minutes. 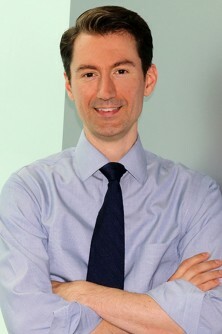 “Previous studies showed that prolonged cardiopulmonary bypass causes disruption of circulating red blood cells and the release of hemoglobin, which can cause acute kidney injury, leading to kidney failure and the need for long-term hemodialysis,” said lead study author Lorenzo Berra, MD, medical director of respiratory care at Massachusetts General Hospital in Boston and assistant professor at Harvard Medical School. “We tested whether administration of nitric oxide, a gas normally produced by cells in the lining of blood vessels, might render hemoglobin ‘inert,’ thereby decreasing the risk of both acute and chronic kidney injury.” The authors found that patients who received 80 parts per million of nitric oxide during and for 24 hours after surgery were less likely to develop acute kidney injury, with a decrease from 64 percent in the placebo-treated patients to 50 percent in those who received nitric oxide. The risk of progressing to more serious kidney disease (Stage 3 Chronic Kidney Disease) was also reduced at 90 days, with a decrease from 33 percent in the placebo-treated patients to 21 percent in those who received nitric oxide. After one year, 31 percent in the placebo group had serious kidney disease compared to 18 percent in the nitric oxide group. There was also a decrease in the overall mortality rate after one year, from 6 percent in the placebo group to 3 percent in the nitric oxide group. This decrease did not reach statistical significance, possibly because of the relatively small number of patients included in the study, the researchers wrote. According to the authors, several drugs have been tested and shown to be ineffective at protecting the kidneys after cardiac surgery. This is the first study to show that a pharmacological treatment can reduce acute and chronic kidney injury resulting from cardiac surgery. Importantly, the authors noted that administration of nitric oxide gas appears to be safe: nitric oxide delivery did not have to be reduced or stopped in any of the patients who received the gas. The authors caution that study results may not be generalizable to all cardiopulmonary bypass patients. In the Chinese study, all patients underwent the same type of surgery, and most of the patients were young (average age: 48) because their heart valve problems were caused by rheumatic fever. In North America and Europe, degenerative heart disease is a more common cause of valve dysfunction, and these older patients are more likely to have additional medical problems. The researchers are now conducting a similar trial at the Massachusetts General Hospital to determine whether nitric oxide provides similar benefits as those seen in the Chinese study. Compared to the younger, relatively healthy patients in the Chinese study, Dr. Berra said, “We believe that the older patients with an increased number of cardiovascular risk factors, including obesity, hypertension and diabetes, may derive even greater benefit from nitric oxide administration during and after heart surgery.” This study was funded by the National Natural Science Foundation of China, the Xijing Hospital Foundation, the National Key Technology Research and Development Program at the Ministry of Science and Technology of China, the Changjiang Scholars and Innovative Research Team at the University of China, and the Department of Anesthesia, Critical Care and Pain Medicine at Massachusetts General Hospital. Contact for Article Lorenzo Berra, MD lberra@mgh.harvard.edu Share via Twitter “Inhaled nitric oxide, #NO, appears to reduce risk of #acute kidney injury and long-term kidney problems in patients who undergo #heart surgery requiring a heart-lung machine.” Follow Us ATS - @atscommunity AJRCCM - @ATSBlueEditor About the American Journal of Respiratory and Critical Care Medicine (AJRCCM): The AJRCCM is a peer-reviewed journal published by the American Thoracic Society. The Journal takes pride in publishing the most innovative science and the highest quality reviews, practice guidelines and statements in pulmonary, critical care and sleep medicine. With an impact factor of 12.996, it is the highest ranked journal in pulmonology. Editor: Jadwiga Wedzicha, MD, professor of respiratory medicine at the National Heart and Lung Institute (Royal Brompton Campus), Imperial College London, UK. About the American Thoracic Society: Founded in 1905, the American Thoracic Society is the world's leading medical association dedicated to advancing pulmonary, critical care and sleep medicine. The Society’s more than 16,000 members prevent and fight respiratory disease around the globe through research, education, patient care and advocacy. The ATS publishes three journals, the American Journal of Respiratory and Critical Care Medicine, the American Journal of Respiratory Cell and Molecular Biology and the Annals of the American Thoracic Society The ATS will hold its 2019 International Conference, May 17-22, in Dallas, Texas, where world-renowned experts will share the latest scientific research and clinical advances in pulmonary, critical care and sleep medicine. Newswise — PITTSBURGH, June 22, 2018 – In the first 90 days of concurrent opioid and benzodiazepine use, the risk of opioid-related overdose increases five-fold compared to opioid-only use among Medicare recipients, according to a new study from the University of Pittsburgh School of Pharmacy, published today in JAMA Network Open. The U.S. Centers for Disease Control and Prevention recommends against concurrent use of opioids and benzodiazepines, but nearly a quarter of Medicare recipients who are prescribed opioids also fill prescriptions for benzodiazepines. Both drugs have sedative effects. “Patients who must be prescribed both an opioid and a benzodiazepine should be closely monitored by health care professionals due to an increased risk for overdose, particularly in the early days of this medication regimen,” said Inmaculada Hernandez, Pharm.D., Ph.D., assistant professor at Pitt’s School of Pharmacy and the study’s lead author. “Moving forward, policy interventions should focus on preventing concurrent exposure instead of simply reducing the length of time patients use both drugs.” Hernandez and her team used 2013-2014 Medicare Part D data to assess how the duration of simultaneous exposure to the two types of drugs impacts the risk of overdose. Beneficiaries not being treated for cancer who filled at least one opioid prescription during that year were included in the analysis, which ultimately looked at more than 71,000 beneficiaries who averaged 66.5 years of age. Patients were divided into two groups, those with a supply of only opioids the day before an overdose, and those with an opioid and benzodiazepine supply. The second group was then divided into four subgroups based on the cumulative number of days with overlapping opioid and benzodiazepine supplies. For patients who did not have an overdose event in the first 90 days of concurrent use, overdose risk in the next 90 days decreased from five-fold to less than double, which is still elevated compared to opioid-only use. After 180 days of concurrent use, the risk of overdose was no higher than the risk for opioid-only use. Results were adjusted to account for patient demographics, health insurance factors, clinical characteristics, and the number of unique clinicians who prescribed opioids or benzodiazepines to the patients. Hernandez and her team also found that a beneficiary’s risk of concurrent opioid and benzodiazepine use and of overdose increased with the numbers of opioid and benzodiazepine prescribers. In other words, the more clinicians prescribing medications to a beneficiary, the higher the risk of that beneficiary overdosing. “These findings demonstrate that fragmented care plays a role in the inappropriate use of opioids, and having multiple prescribers who are not in communication increases the risk for overdose,” said Yuting Zhang, Ph.D., director, Pharmaceutical Economics Research Group, Health Policy and Management, Pitt Graduate School of Public Health, and the study’s senior author. “Prescription monitoring programs and policy interventions can help curb this problem and reduce risk for patients.” Additional authors of this research include Meiqi He, M.S., and Maria M. Brooks, Ph.D., both from Pitt. The research was funded by The Commonwealth Fund grants 20150380 and 20160326. Newswise — Health care insurers including Medicare, Medicaid and major private insurers have not done enough to combat the opioid epidemic, suggests a study led by researchers at Johns Hopkins Bloomberg School of Public Health. The Bloomberg School researchers examined major insurers’ 2017 coverage policies for drugs to treat chronic lower-back pain, and concluded that these policies missed important opportunities to steer patients towards safer and more effective treatments than prescription opioids. “Our findings suggest that both public and private insurers, at least unwittingly, have contributed importantly to the epidemic,” says study senior author G. Caleb Alexander, MD, MS, associate professor in the Bloomberg School’s Department of Epidemiology and co-director of the Johns Hopkins Center for Drug Safety and Effectiveness. The study, which will be published online on Friday, June 22, in the journal JAMA Network Open, provides one of the most comprehensive looks ever at insurers’ pain coverage policies, and comes as the opioid epidemic continues to ravage communities across the country. 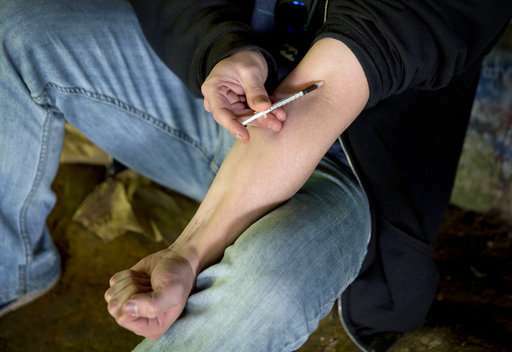 The U.S. Department of Health and Human Services (HHS) has estimated that in 2016, the most recent year for which complete data are available, over 42,249 Americans died from opioid overdoses, the most of any year on record. 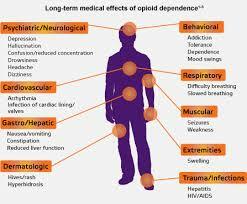 More than 2.1 million Americans had an opioid use disorder (addiction) in 2016, with economic costs from the epidemic estimated to be as high as $504 billion dollars. Alexander and colleagues, with funding and technical assistance from the Office of the Assistant Secretary for Planning and Evaluation (ASPE) (DHHS), the National Institutes of Health and the Centers for Disease Control and Prevention (CDC), analyzed the coverage policies of 15 Medicaid plans, 15 Medicare Advantage plans and 20 commercial insurers in 2017. The team focused on common plan types within 16 states that together comprise about one-half of the U.S. population. Many of the states examined have been hit especially hard by the epidemic. In addition to analyzing plan details, the researchers also conducted in-depth interviews with over 43 senior health care executives that administered representative plans. The investigators focused on 62 prescription drugs used to treat chronic lower back pain, one of the most common types of chronic, non-cancer pain for which prescription opioids have been overused. Their analysis included 30 prescription opioids and 32 other drugs including non-steroidal anti-inflammatory drugs (NSAIDs), muscle relaxants and topical analgesics. The analysis revealed that many insurers failed to apply evidence-based “utilization management” rules to discourage opioid overuse and encourage safer and more effective alternatives. What’s more, many of the utilization management rules in place were applied as often to non-opioids as opioids. 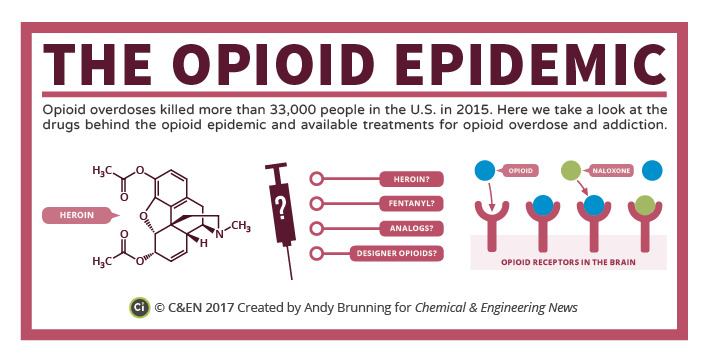 “Opioids are just one tool in the pain management tool box, and unfortunately, many of the plans that we examined didn’t have well-developed policies in place to limit their overuse,” Alexander says. There are three types of common “utilization management”—quantity limits, step therapy and prior authorization. While “quantity limits”—which restrict the number of pills that can be dispensed—were commonly used for opioids, they were generally for a 30-day supply, rather than a shorter supply as is recommended in the CDC Guideline for Prescribing Opioids for Chronic Pain. This is important since the duration of early prescriptions for opioids is associated with the likelihood that a patient will convert to chronic use. Since the study was initiated, several major insurers have begun implementing more stringent quantity limits on first prescriptions. “Step therapy”—which requires that treatment start with a less risky drug such as an NSAID, an over-the counter, anti-inflammatory and pain medication, and allows a riskier opioid only if the first drug fails to work—is another strategy to reduce inappropriate opioid use. But the researchers found that the plans they studied rarely required step therapy for opioids. Among the Medicaid plans, for example, a median of only 9 percent of covered opioids required step therapy. For commercial plans, the median figure was just 4 percent. Among the Medicare plans there were virtually no step therapy requirements for opioids. Similarly, the practice of “prior authorization,” in which the prescriber must contact the insurer for pre-approval before writing a prescription the insurer will cover, was applied to only a minority of covered opioids. Although, here too, some insurers have begun implementing policies such as requiring prior authorization for individuals with chronic, non-cancer pain, initiating treatment with extended release/long-acting (ER/LA) opioids. The researchers found too that both public and commercial plans tended to make covered opioids available relatively cheaply to patients. The median commercial plan, for example, placed 74 percent of opioid painkillers in Tier 1, the lowest cost category, and the median commercial co-pay for Tier 1 opioids was just $10 for a month’s supply. “To their credit, while every health plan we examined was actively trying to combat the epidemic, their focus was generally on utilization management and identifying high-volume prescribers and patients, rather than on comprehensive strategies to improve the treatment of chronic pain,” Alexander says. On the whole, these coverage policies “help explain why the opioid epidemic has taken root,” he adds. In 2016, the CDC issued recommendations for stricter limits on opioid prescribing, noting among other things that “Non-opioid therapy is preferred for chronic pain outside of active cancer, palliative, and end-of-life care.” These guidelines, as well as soaring rates of injuries and deaths from opioids, continue to shape changes in clinical practice. “Insurers can either be part of the problem, or part of the solution,” says Alexander. “The good news is that an increasing number of health plans are recognizing their contribution to the epidemic and developing new policies to address it. The bad news is that we have a very long way to go. “Prescription drug coverage for treatment of low back pain among U.S. Medicaid, Medicare Advantage, and Commercial Insurers” was written by Dora Lin, Christopher Jones, Wilson Compton, James Heyward, Jan L. Losby, Irene B. Murimi, Grant Baldwin, Jeromie M. Ballreich, David A. Thomas, Mark Bicket, Linda Porter, Jonothan C. Tierce, and G. Caleb Alexander. The study was funded by the U.S. Department of Health and Human Services Office of the Assistant Secretary for Planning and Evaluation, with technical and financial assistance from the National Institute on Drug Abuse of the National Institutes of Health and the Centers for Disease Control and Prevention. Newswise — Researchers from Queen’s University Belfast have shown for the first time that the eye could be a surrogate for brain degeneration like Alzheimer’s disease (AD). This research results have recently been published in the Journal of Ophthalmic Research and is the first clinical study showing a potential for peripheral retinal imaging to be used in monitoring AD and potentially other neurodegenerative diseases. The team, led by Dr Imre Lengyel, Senior Lecturer and Researcher at the School of Medicine Dentistry and Biomedical Sciences at Queen’s University have found that by examining the eye we might be able to reflect on what might be taking place in the brain. The work was carried out alongside health professionals and care providers for AD patients and explored whether there are manifestations of AD in the eye. Based on laboratory observations the team hypothesized that changes in the peripheral retina could be important to explore the association between the eye and the brain. Using ultra-wide field imaging technology developed by Optos Plc, the team found that there are indeed several changes that seems to be, especially in the peripheral retina, associated with this debilitating condition. One of the changes in the eye that the study observed was a higher than normal appearance of drusen, the yellow ‘spots’ identifiable on retinal images, in people with AD. Drusen are small deposits of fat, proteins and minerals, including calcium and phosphate deposits that form in a layer underneath the retina. These spots are a symptom of ageing and often seen in people over 40. A few of these deposits are harmless, but once they increase in number and size they contribute to the degeneration of the retina. Dr Lengyel explains: “These exciting research results suggests that our original hypothesis was right and wide field eye imaging could indeed help monitoring disease progression in patients with AD.” Another significant change observed in the study was measured in the peripheral retinal blood circulation in AD. The research team found that people with AD have wider blood vessels close to the optic nerve, but these thin faster than in control subjects towards the retinal periphery. Both of these are likely to slow blood flow and impair nutrient and oxygen flow in the peripheral retina. Dr Lengyel continues: “Eye imaging is quick, simple, well tolerated and costs a fraction to that of brain scans so there are tremendous benefits to both the professional and the patient.” While peripheral retinal imaging is not a diagnostic measure for AD, the simple, quick and inexpensive monitoring of change in the eye could serve as a tool for disease progression in the brain. Professor Craig Ritchie, Professor of the Psychiatry of Ageing at the University of Edinburgh is co-author on the study. 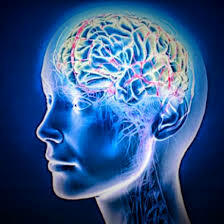 He comments: “Changes in the eye are very easy to measure relative to other measures of brain health. “Our research team, led by Queen’s University, was able to identify early markers in people many years before dementia develops. We have opened a window to identify high risk groups who may benefit from specific prevention advice.” To extend these observations, the research team is currently involved in several further dementia related studies. They will be examining and following patients with very early stage AD through the Deep and Frequent Phenotyping study, the world's most in depth study to detect early signs of Alzheimer's disease progression conducted in the UK. Research in Dr Lengyel’s laboratory is supported by the Medical Research Council, Economic and Social Research Council, National Institute for Health Research, and Northern Ireland Clinical Research Facility as well industrial partners Optos Plc. Newswise — Researchers at the Johns Hopkins Kimmel Cancer Center and the Bloomberg~Kimmel Institute for Cancer Immunotherapy (BKI) released a study investigating the use of combination checkpoint immunotherapy in the treatment of a lethal form of advanced prostate cancer. The study suggested a genetic subset of prostate cancer may benefit from this form of immunotherapy. The study targeted AR-V7+ prostate cancer with a combination of two checkpoint blockers, ipilimumab and nivolumab, in 15 patients with this aggressive variant, first discovered at Johns Hopkins in 2014. This is the first clinical trial to target this specific form of prostate cancer, which can kill patients in only six to nine months and has inadequate treatment options. It is the first reported study of combination immunotherapy using both ipilimumab and nivolumab in prostate cancer. The study was published by Oncotarget on June 19, 2018. “This is the first prostate cancer study to be supported by the Bloomberg~Kimmel Institute for Cancer Immunotherapy since the institute was launched and provides the first evidence that immunotherapy can indeed benefit some patients with prostate cancer, a cancer type previously thought to be completely immunotherapy resistant,” said Drew Pardoll, M.D., Ph.D., director of the BKI. 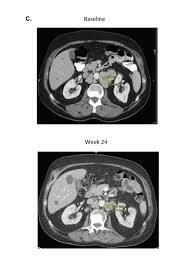 Patients on the trial received treatment by IV infusion consisting of 3 milligrams per kilogram of nivolumab plus 1 milligram per kilogram of ipilimumab every three weeks for four doses, followed by a maintenance regimen of 3 milligrams per kilogram of nivolumab alone every two weeks thereafter. The patients were enrolled between December 2016 and October 2017. The data showed two out of the 15 men (13 percent) experienced a decrease in the level of prostate-specific antigen (PSA) of at least 50 percent. More encouragingly, one-quarter of patients achieved an objective response, meaning that their tumors shrank partially or completely with combination immunotherapy. These responses were typically lasted at least nine months. At least two of the patients remain alive for more than 18 months, which is much longer than expected for men with AR-V7+ prostate cancer. Six of 15 patients (40 percent) had a genetic subtype of prostate cancer that harbored somatic and/or germline mutations in one DNA-repair genes involved in the BRCA pathway, first shown to predispose women to breast and ovarian cancer. In these six men, gene mutations of BRCA2, ATM, and ERCC4 were individually detected in those patients. “Remarkably, all of the benefit from ipilimumab plus nivolumab appeared to occur in patients who had one of these gene mutations, particularly in two men with BRCA2 mutations,” said Emmanuel Antonarakis, M.B.B.Ch., senior author of the study. “This finding is important, because BRCA2 is not a gene that was previously thought to sensitize patients to immune checkpoint inhibitors and, if true, will have profound implications for other diseases, such as breast and ovarian cancers where these genes are frequently mutated,” said Antonarakis. “In the setting of prostate cancer, about 20-25 percent of patients have mutations in BRCA2 and related genes, which are involved in a DNA-repair process called homologous recombination. This study suggests that these gene mutations may be even more common in men with the AR-V7+ type of prostate cancer.” While prostate cancer is generally regarded as a low–mutation-burden tumor and immune-checkpoint blockade has resulted in only rare clinical regressions when used as a monotherapy, the data suggested AR-V7+ prostate cancers may be associated with a greater number of DNA-repair gene mutations and a higher mutation load and could be further exploited by using combination immunotherapy. “If these findings are confirmed, this could offer some hope to these patients with AR-V7+ disease who have few, if any, good treatment options,” said Antonarakis. The study showed the combination of nivolumab plus ipilimumab demonstrated acceptable safety and tolerability in men with AR-V7+ advanced prostate cancer. Based on the encouraging preliminary findings, Antonarakis said he will expand his study to involve a greater number of patients. The expanded study is open to enrollment and actively seeking new patients. The Bloomberg~Kimmel Institute for Cancer Immunotherapy was founded in 2016 with a series of philanthropic investments totaling $125 million from benefactors Michael R. Bloomberg, Sidney Kimmel and more than a dozen other supporters. It is a groundbreaking collaboration between clinical and scientific specialties, supporting cancer immunotherapy research across many cancer types. COI: Emmanuel Antonarakis is a paid consultant/advisor to Janssen, Astellas, Sanofi, Dendreon, Medivation, ESSA, AstraZeneca, Clovis and Merck; has received research funding to his institution from Janssen, Johnson & Johnson, Sanofi, Dendreon, Genentech, Novartis, Tokai, Bristol Myers-Squibb, AstraZeneca, Clovis and Merck; and is the co-inventor of a biomarker technology that has been licensed to Qiagen. Victor Velculescu is a founder of Personal Genome Diagnostics (PGDx), is a member of its scientific advisory board and board of directors, and owns PGDx stock. He is also on the Scientific Advisory Board for Ignyta. This research was sponsored by Bristol-Myers Squibb (Princeton, New Jersey), which also provided both study drugs free of cost. This research was also partially supported by National Institutes of Health grants P30 CA006973 and R01 CA185297, Department of Defense grants W81XWH-13-PCRP-CCA and W81XWH-15-2-0050, and the Bloomberg~Kimmel Institute for Cancer Immunotherapy. Genomic studies were partially supported by National Institutes of Health grant R01 CA121113 and the Commonwealth Foundation. Newswise — A new study published online today by Pediatrics and conducted by researchers at the Center for Injury Research and Policy and the Central Ohio Poison Center at Nationwide Children’s Hospital found that from January 2007 through December 2016 there were more than 11,000 calls to US Poison Centers for pediatric exposures to buprenorphine – a prescription opioid medication used to treat opioid use disorder. Most (86%) of the calls were about exposures among children younger than 6 years old. Most (98%) buprenorphine exposures among younger children were unintentional. Nearly half (45%) of the exposures resulted in the child being admitted to a healthcare facility and 21% resulted in serious medical outcomes, including 11 deaths. The most common symptoms for buprenorphine alone were drowsiness/lethargy (47%) and vomiting (17%). While most buprenorphine exposures among younger children were unintentional, 77% of exposures among teenagers (age 13-19 years) were intentional and 28% involved more than one substance. More than one-fifth of teen exposures resulted in being admitted to a healthcare facility, and 22% experienced a serious medical outcome, including 4 deaths. There were 150 suspected teen suicide attempts, 59% of which involved at least one other drug. “Buprenorphine is an important medication for the treatment of opioid use disorder among teenagers and adults,” said Gary Smith, MD, DrPH, senior author of the study and director of the Center for Injury Research and Policy at Nationwide Children’s Hospital. “But it can cause decreased breathing and death if a young child swallows it. That is why all buprenorphine products should use unit-dose packaging to help prevent unintentional access by young children.” “Safe storage of all opioids, including buprenorphine, is vital,” said Henry Spiller, MS, D.ABAT, study author, and director of the Central Ohio Poison Center. “Parents and caregivers who take buprenorphine need to store it safely: up, away, and out of sight – in a locked cabinet is best. Additionally, there is rising concern of adolescents abusing buprenorphine.” Data for this study were obtained from the National Poison Data System, which is maintained by the American Association of Poison Control Centers (AAPCC). The AAPCC receives data on calls to regional poison control centers that serve the US and its territories. Poison control centers receive phone calls through the Poison Help Line and document information about the product involved, route of exposure, individual exposed, exposure scenario, and other data. The Center for Injury Research and Policy (CIRP) of The Research Institute at Nationwide Children’s Hospital works globally to reduce injury-related pediatric death and disabilities. With innovative research at its core, CIRP works to continually improve the scientific understanding of the epidemiology, biomechanics, prevention, acute treatment, and rehabilitation of injuries. CIRP serves as a pioneer by translating cutting edge injury research into education, policy, and advances in clinical care. For related injury prevention materials or to learn more about CIRP, visit www.injurycenter.org. The Central Ohio Poison Center provides state-of-the-art poison prevention, assessment, and treatment to residents in 64 of Ohio’s 88 counties. The center services are available to the public, medical professionals, industry, and human service agencies. The Poison Center handles more than 42,000 poison exposure calls annually, and confidential, free emergency poisoning treatment advice is available 24/7. To learn more about the Poison Center, visit www.bepoisonsmart.org. Newswise — Researchers at the University of Virginia School of Medicine have discovered that microglia, specialized immune cells in the brain, play a key role in clearing dead material after brain injury. The study, which will be published June 25 in the Journal of Experimental Medicine, reveals that microglia gobble up the remnants of injured neurons, which could prevent the damage from spreading to neighboring neurons and causing more extensive neurodegeneration. In every tissue of the body, dead and dying cells must quickly be removed to prevent the development of inflammation, which could trigger the death of neighboring cells. This removal is carried out by specialized cells that engulf and break down cellular debris, otherwise known as phagocytic cells. But scientists have yet to determine which cells are responsible for removing neuronal debris when the brain or spinal cord is damaged. Jonathan Kipnis, chairman of UVA’s Department of Neuroscience, and his colleagues examined injuries to the optic nerve of mice, which cause retinal ganglion neurons to degenerate and leave debris in a distant region of the brain. The researchers found that this debris is engulfed by microglia. Microglia, which permanently reside in the central nervous system, are a type of phagocytic cell that can engulf bacteria and other pathogens that have infected the brain. They also play an important role in the developing brain, pruning away neuronal synapses that have failed to become fully active. In adult brains, microglia appear to recognize degenerating neurons using some of the same molecules they use to recognize inactive synapses or invading pathogens. Kipnis and colleagues found that, after optic nerve injury, microglia produce “complement” proteins that help the phagocytic cells identify their targets. The researchers studied what happened after optic nerve injury in mice when microglia did not produce “complement” proteins and found that the microglia did not clear the debris. “In the future, we hope to further identify how microglia are activated in response to neurodegeneration and how they then remove neuronal debris,” says Kipnis, director of UVA’s Center for Brain Immunology and Glia (BIG). “Knowing these mechanisms might allow us to boost the clearance of potentially toxic debris by microglia and limit the spread of neurodegeneration following brain or spinal cord injury.” Norris et al. 2018. J. Exp. Med. http://jem.rupress.org/cgi/doi/10.1084/jem.20172244?PR # # # About the Journal of Experimental Medicine The Journal of Experimental Medicine (JEM) features peer-reviewed research on immunology, cancer biology, stem cell biology, microbial pathogenesis, vascular biology, and neurobiology. All editorial decisions are made by research-active scientists in conjunction with in-house scientific editors. JEM makes all of its content free online no later than six months after publication. Established in 1896, JEM is published by Rockefeller University Press. For more information, visit jem.org. Visit our Newsroom, and sign up for a weekly preview of articles to be published. Embargoed media alerts are for journalists only. Follow JEM on Twitter at @JExpMed and @RockUPress.